CJSR Celebrates 30 Years on the FM Dial! January 6, 2014 | Meagan Miller & filed under Uncategorized. CJSR has come a long way since January 7th, 1984. Over time, CJSR has evolved from an unknown radio station at the bottom of the FM dial to a veritable powerhouse in Edmonton’s media landscape. But while CJSR’s sound has certainly evolved over the years, the spirit of the station and our mandate to challenge the status quo of radio has never faltered. We are still the station that is unlike any other in this city, constantly focused on supporting arts, culture and political ideas that make up the fabric of our city. 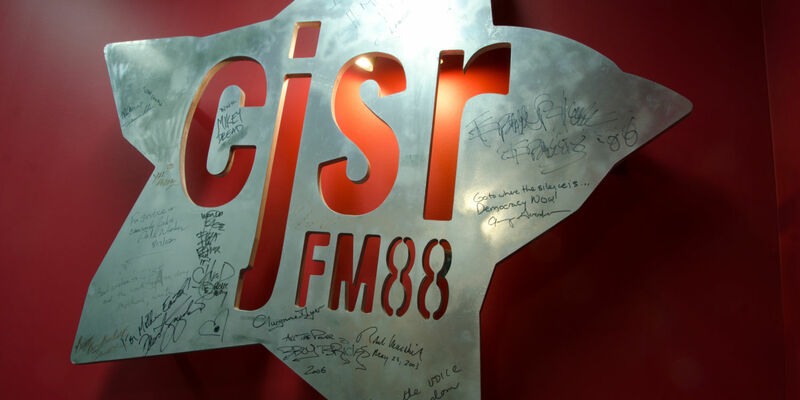 On January 7th, 2014, CJSR will be celebrating its 30th anniversary on the FM dial in Edmonton. Needless to say, we here at CJSR are immensely proud to reach this milestone. We’ve gone through ups and downs, and at certain times over the last three decades the future of this experiment we call CJSR was in doubt. But we’ve made it. And the future is looking as bright as ever for Edmonton’s only volunteer powered, public radio station. Join us at from 9am-9pm at Edmonton’s City Hall on January 7th, 2014 to celebrate the power of community radio to bring people together and create a more vibrant city.